Robobrawl is an annual combat robotics event that takes place each year during the Engineering Open House on the University of Illinois campus. The event consists of a double elimination tournament over the two days of Engineering Open House where each team battles for dominance. 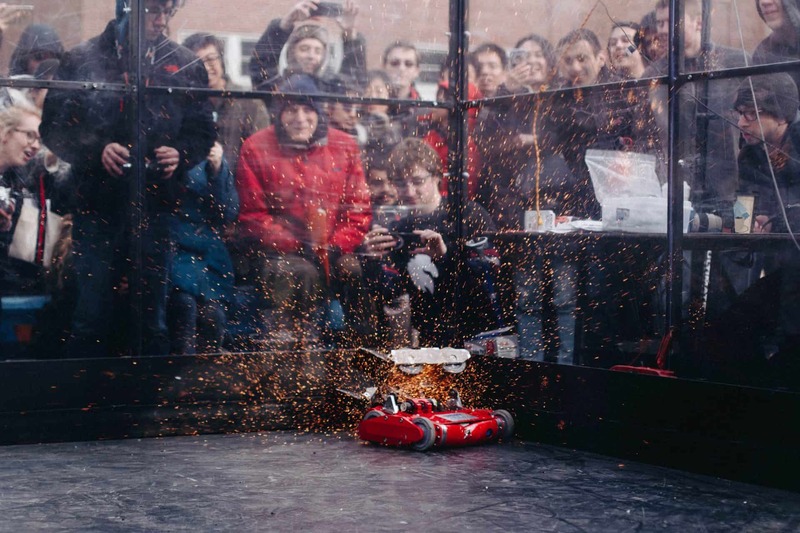 The current format consists of 30 pound combat robots fighting in a 16′ x 16′ arena. Our event encourages inter-disciplinary engineering collaboration in order to challenge all comers in both design and manufacturing skill. Through this challenge, participants will grow and develop the skills necessary to become well-rounded engineers.